I had such a great time capturing this family and maternity session for the growing Taulbee Family. They are just precious! This was a great opportunity to document where they are as a family in this chapter because it is about to come to a close. Their new chapter will include a new character. Sweet baby boy Sawyer will be joining their story before they know it. The whole family is thrilled. Big sister Chloe gave her baby brother so much love during the session. I loved capturing the images of her snuggling with mommy’s belly and pointing to baby Sawyer when they talked about him. These kiddos have great parents. There is so much love and laughter. Mom, looked stunning in her floral maxi. It was the perfect pick for these maternity photos that we captured in a wooded field. You could see how excited dad is to be welcoming a new baby boy with every glance at Vanessa. 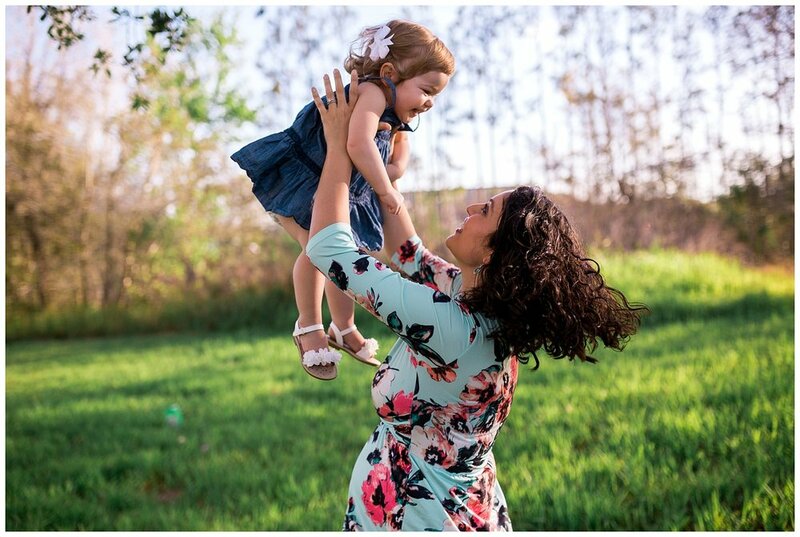 There was a brightness and ease to this family, even in some of the more tense moments of the session, which are to be expected with a one year old involved. It was one of those moments where, as a parent, you feel like it is going to result in bad photos. Even in those sessions, it never ruins a shoot! We always get plenty of photos and eventually the kids do warm up. 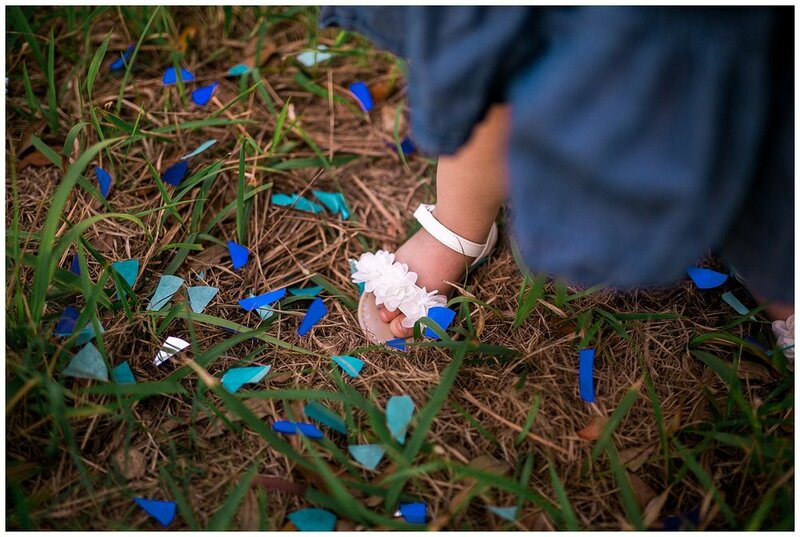 We redirected Chloe's attention with some fun baby boy blue confetti and she perked right back up. I cannot wait to meet their little man and capture the family with the newest character in their story book. Congratulations to this super sweet family! 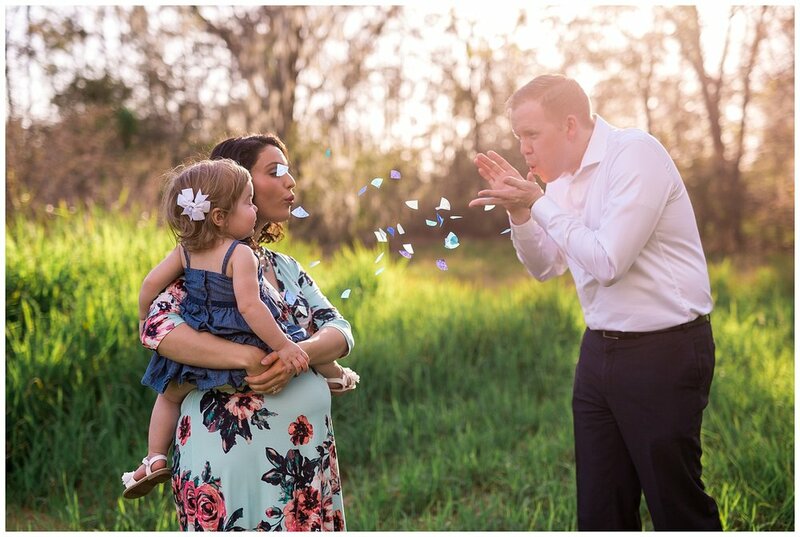 I am so honored to have been their family and maternity photographer. Isn't this session gorgeous! ?